1. The relevance of Hunter/Gatherer-networks in the Palaeolithic and Mesolithic for the adaption and diffusion of key technologies enabling the Neolithic way of life. 2. The Impact the Neolithic Revolution had on long-distance networks, and whether these changed significantly or continued to exist. • Which social mechanisms enabled societies to conserve and trade the knowledge of techniques necessary for the Neolithic way of life? 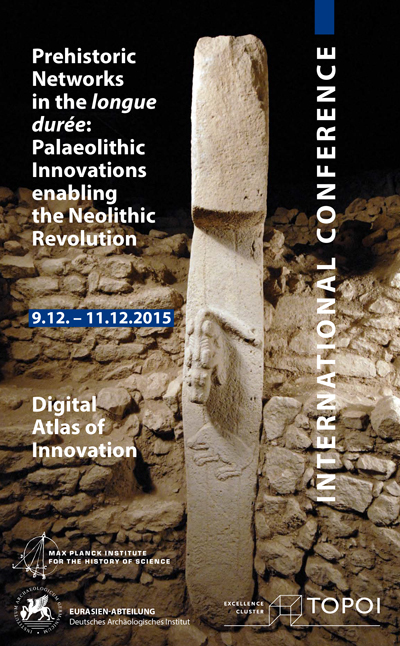 • What was the role of networks for the diffusion of Neolithic technology? Is it possible to trace these networks back into the Mesolithic and Palaeolithic? • We would like to discuss the potential of Palaeolithic innovations. Is it possible to pinpoint the origin of the innovations enabling the Neolithic? Can we trace back trajectories that began long before the Neolithic? • Which networks were able to bridge climatic and environmental boundaries? Is it possible to interpret the exchange of goods and ideas within networks as being set up intentionally or are these an unintended bi-product of the networks? • How did networks change when more and more societies took over the Neolithic way of life? Were new technologies incorporated into existing networks or responsible for major changes in the long-distance communication? Florian Klimscha (Berlin): Why should Societies become Neolithic?